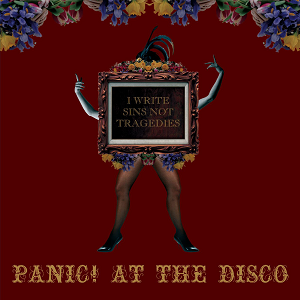 "I Write Sins Not Tragedies" is a song by American rock band Panic! 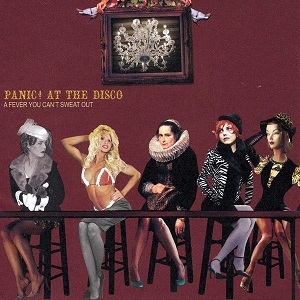 at the Disco, and is the second single from their debut studio album, A Fever You Can't Sweat Out (2005). It was released on April 27, 2006 on both CD and 7" vinyl. The pizzicato cello motif that the song is built upon was played by session musician Heather Stebbins. The song reached No. 7 on the United States Billboard Hot 100. This was the band's only top forty hit until the release of "Hallelujah" in 2015. While the song failed to hit the top 10 on the Alternative Songs chart peaking at No. 12 which was lower than their prior single, "The Only Difference Between Martyrdom and Suicide Is Press Coverage" which peaked at No. 5, the song's success on the Hot 100 and Mainstream Top 40 (at No. 2) charts was what made the song one of the biggest modern rock hits of 2006 and is still one of the band's most played songs on alternative radio stations to this day.